A grant program that focuses on training students in fields like high-tech manufacturing and computer support is undergoing funding cuts as a result of legislation passed during this year’s regular session. This story is part of our 31 Days, 31 Ways series. A grant program that focuses on training students in fields like nursing and computer support is undergoing funding cuts as a result of legislation passed during this year’s regular session. Two of the Jobs and Education for Texans program’s three funds will downsize this fall — one awarding grants to nonprofit organizations for training low-income students, the other funding scholarships to students in career and technical education programs. Students who are currently receiving money through these funds have already received the remainder of the award money, according to the provisions of House Bill 437, authored by state Rep. John Davis, R-Houston. The cuts for the program were driven largely by a limitation in existing resources, said Robert Wood, director of economic development and analysis in the state comptroller’s office, which currently administers the JET program. Approved by the 2009 state Legislature in response to the Texas Works report — which documented a “widening gap between the skills required in today's job market and the number of graduates trained with those skills” — the JET program sought to meet the demand for skilled technical workers. The Launchpad Fund, which gave nonprofits $10 million starting in the 2010-11 biennium to support career training programs for low-income students, will be replaced by the Texas Innovative Adult Career Education Grant program. The ACE grant program will award about $5 million under a similar model to nonprofits for the next biennium. It will be administered by Austin Community College, which will step into the comptroller's office's current oversight role and appoint an advisory board. The Career and Technical Scholarship Fund is being eliminated. It originally granted $5 million starting with the 2010-11 biennium directly to community and technical colleges for students with financial need. 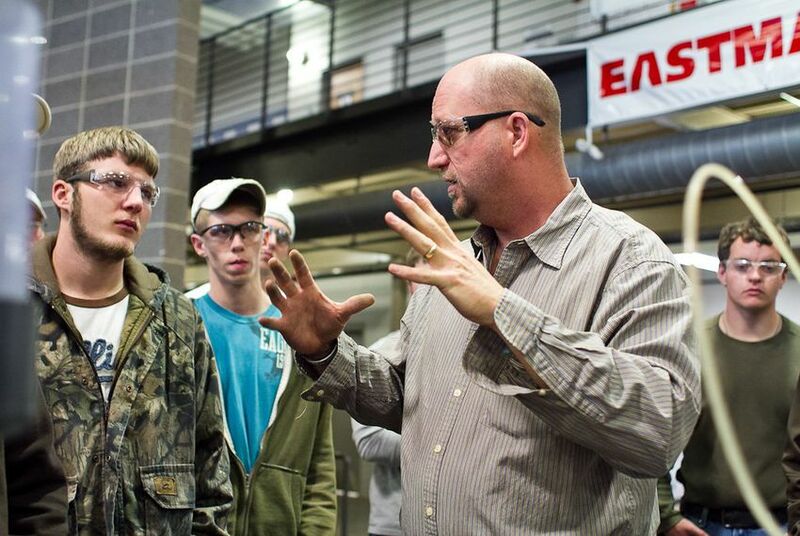 A third fund in the JET program, the Job Building Fund, which allotted $10 million beginning in the 2010-11 biennium toward buying equipment for career and technical education programs, will continue to operate as normal. The program modifications also address what some nonprofit administrators say were challenges in administering the fund. The Launchpad Fund had a set of eligibility rules “that didn’t really make sense, from a practical standpoint,” said Steve Jackobs, executive director for Capital IDEA, a job-training program that received money through the fund. “That was a challenge for us and our students." Under those eligibility rules, the fund’s grants were contingent on particular criteria like the potential recipient’s living situation with family members, Jacobs said. “Two poor families living together doesn’t make a rich family, and that’s how the rules interpreted it,” he said. “We appreciate the comptroller stepping out, creating [the Launchpad Fund and] working to turn over the administration to folks that are closer to the reality of the challenges,” Jackobs said, stressing that other parts of the JET program, like the equipment fund, work well. “The state funding has always just been a part of the funding of these job training programs,” she added. HOUSE BILL 437 eliminates two of three funds in the Jobs and Education for Texans (JET) grant program. The program will no longer allocate grants to nonprofit organizations for low-income students' career training or fund scholarships to train low-income students. HB 437 also authorizes the creation of a new grant program — the Texas Innovative Adult Career Education Grant program — to "provide grants to eligible nonprofit workforce intermediary and job training organizations" as administered by Austin Community College. The Job Building Fund will continue to fund new technology purchases for career and technical education programs supporting "high-growth industries" like welding, computer support, engineering technology and nursing. The Launchpad Fund will be eliminated Sept. 1 and be replaced with the Texas Innovative Adult Career Education Grant program. The new program will be functionally similar, according to the provisions of the bill. The Career and Technical Scholarship Fund will officially shut down Sept. 1. It originally granted funds directly to community and technical colleges to assist students with financial need. The bill grants the Texas Higher Education Coordinating Board the authority to designate a grant administrator for the new program. The bill's requirements for a grant administrator — the board of a junior college district with a municipal population of more than 750,000 and a county population less than 1.5 million — apply to only one school: Austin Community College. The Texas Higher Education Coordinating Board met July 25 to name it as the grant supervisor. According to the bill, Austin Community College has the authority to draw up a grant program, name an advisory board and award grant money to nonprofits in a similar fashion to the original Launchpad Fund.